With more than 200 MAS (Marketing Automation Software) available, it becomes impossible to review every product to make a final purchase decision. So from where exactly should you begin your review process? 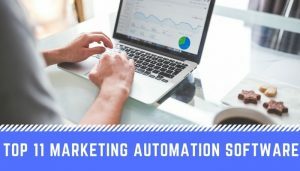 Here is a list of 11 most popular marketing automation tools that have a proven track record of success and have tons of features to give your digital marketing a leap forward.